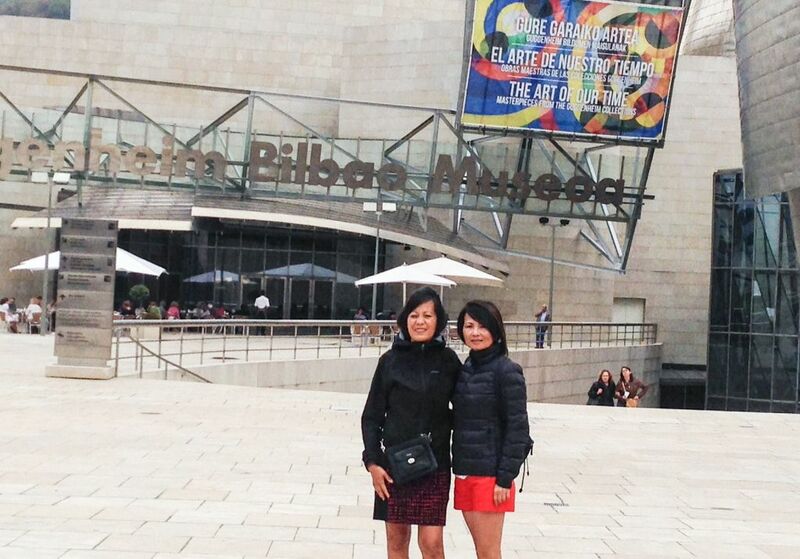 San Sebastian is really small and there is not much to see so we decided to take a road trip to Bilbao. 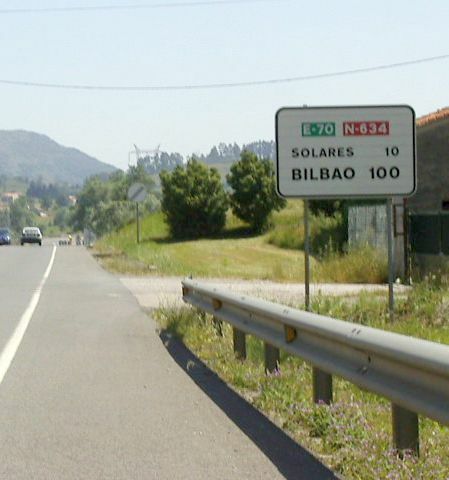 The distance from San Sebastian to Bilbao is about 130 kilometer and it takes a little bit over an hour of drive to get there. 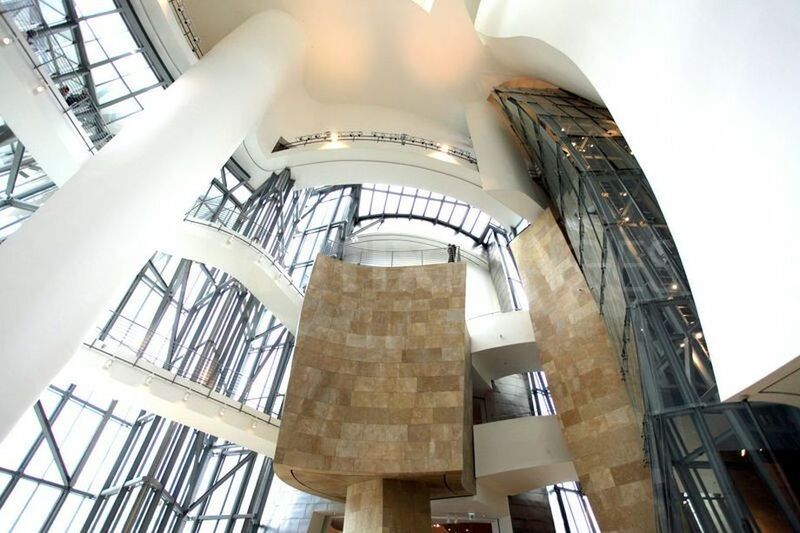 the Museum is located in a newly developed area of the city and surrounded by attractive avenues and squares. It was a cloudy and cold day that's why both of us are buddle up. 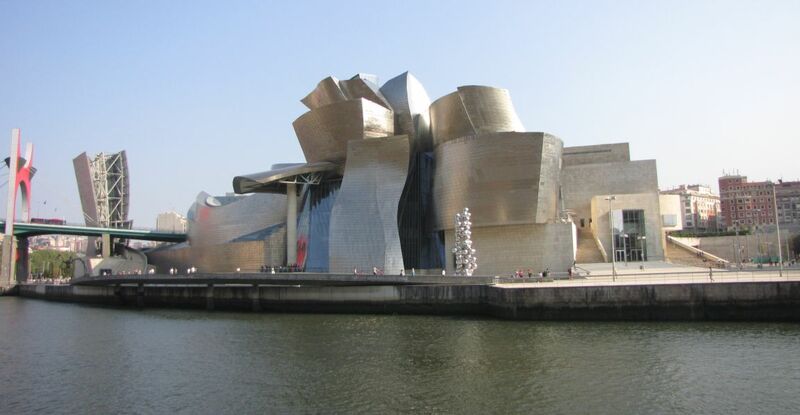 The Guggenheim Museum in Bilbao is a modern and contemporary building, designed by Canadian-American architect Frank Gehry. 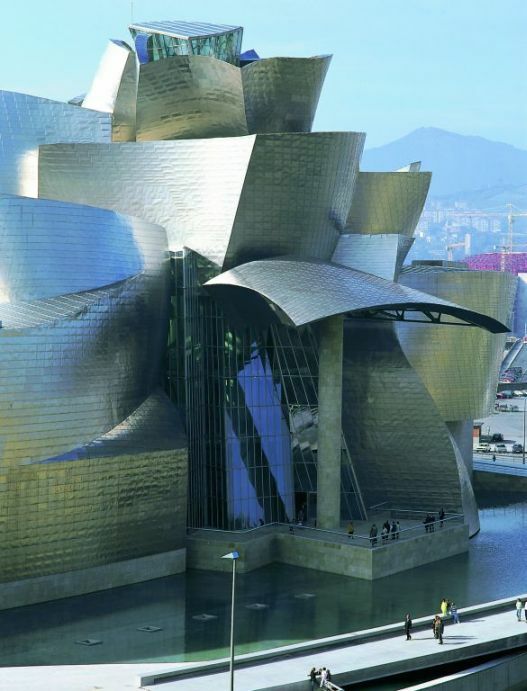 Gehry is one of the most esteemed and admired contemporary architects, known for postmodern designs, including the Walt Disney Concert Hall in L.A., the Louis Vuitton Foundation in Paris and of course the titanium-clad Guggenheim Museum in Bilbao. 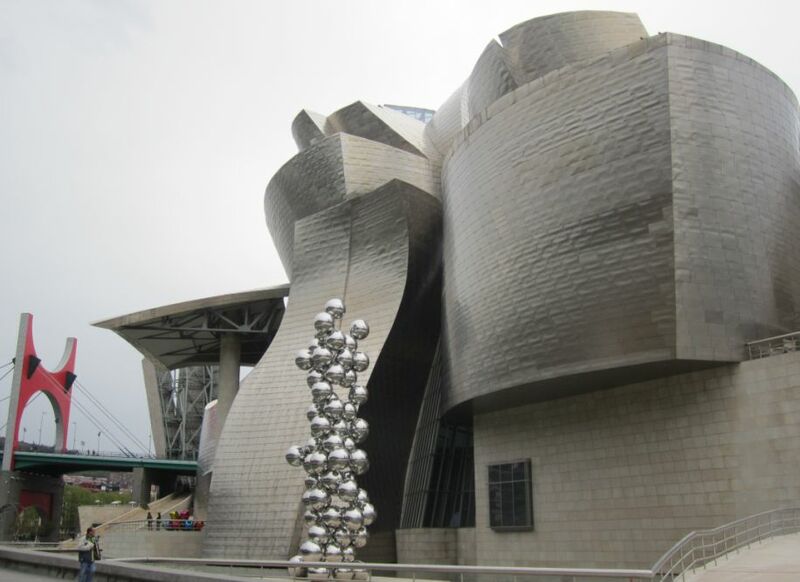 The building is so impressive that some critics have suggested that it might overshadow the value of art collections it houses and many believe that this museum has put Bilbao on the “world tourist map". 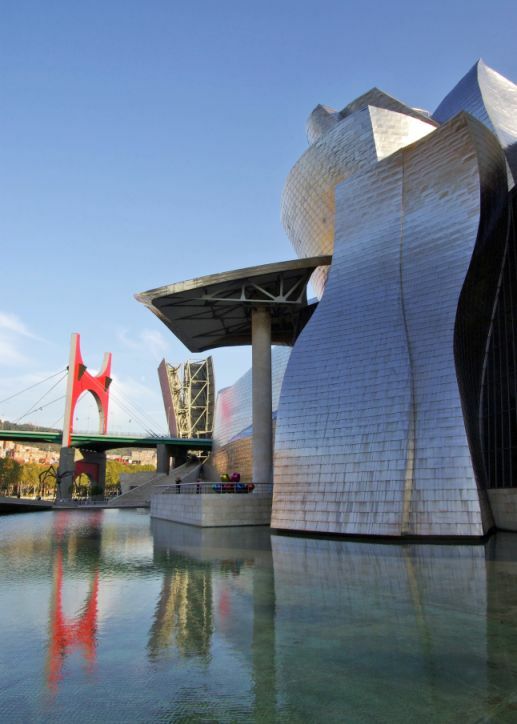 Built around a steel frame and covered with a titanium alloy, the museum stands as testimony for Gehry's genius and it is by far the most recognizable building in Bilbao. 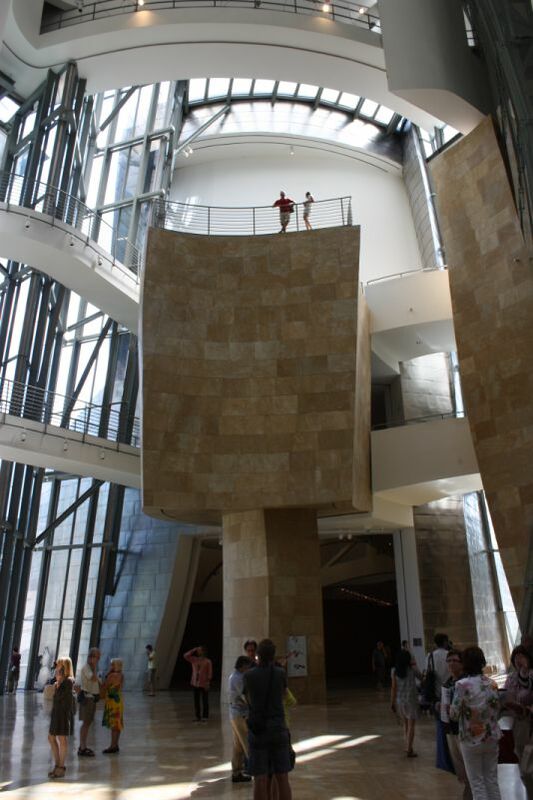 The museum was inaugurated on October 18, 1997, by Juan Carlos I, the recently abdicated King Spain. 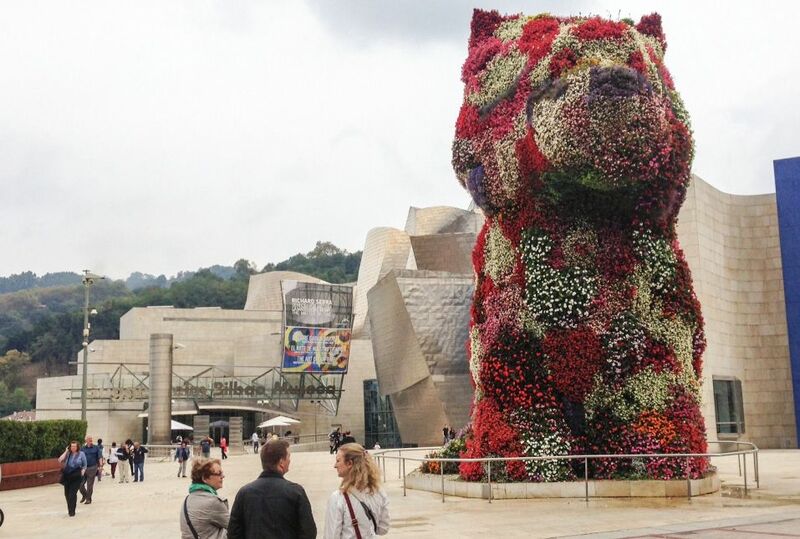 The first thing you see before entering the Museum is an effigy of a huge puppy covered in flowers. 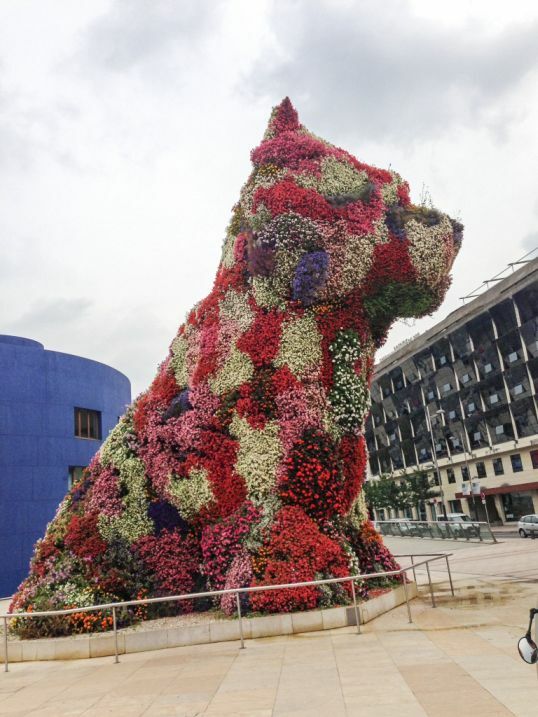 The puppy is giangantic, standing at 43 feet tall, the flower-covered topiary stands out as a colorful symbol of Spain’s fifth-largest city. This cuddly canine giant was created by Jeff Koons, the American artist who found fame during the 80s, particularly for his pieces that hover between pop and pure kitsch. The life of this flowery man’s best friend didn’t start in Spain, though, but rather in Germany, where it was originally commissioned for a castle. 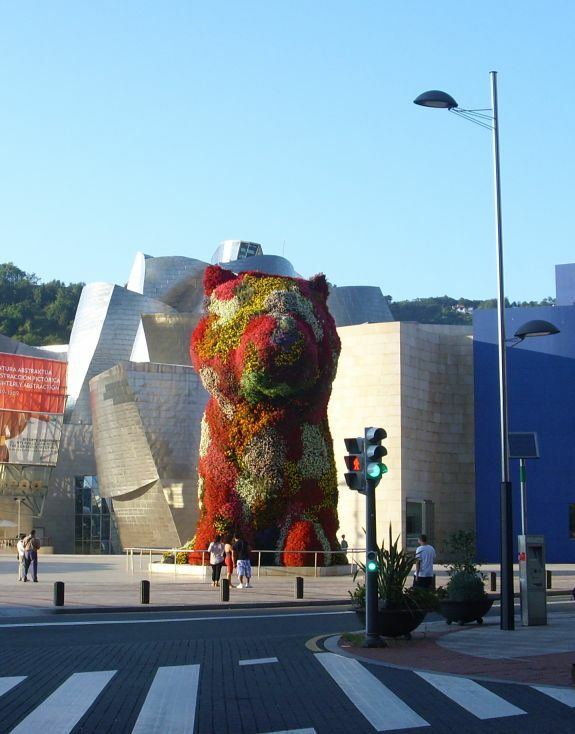 Not done with traveling, the West Highland White Terrier puppy relocated to Sydney Harbor's Museum of Contemporary Art, and ultimately to the grounds of Bilbao’s museum, where it is now part of its permanent collection. Since then, its journey has continued, making a temporary appearance in New York’s Rockefeller Center. 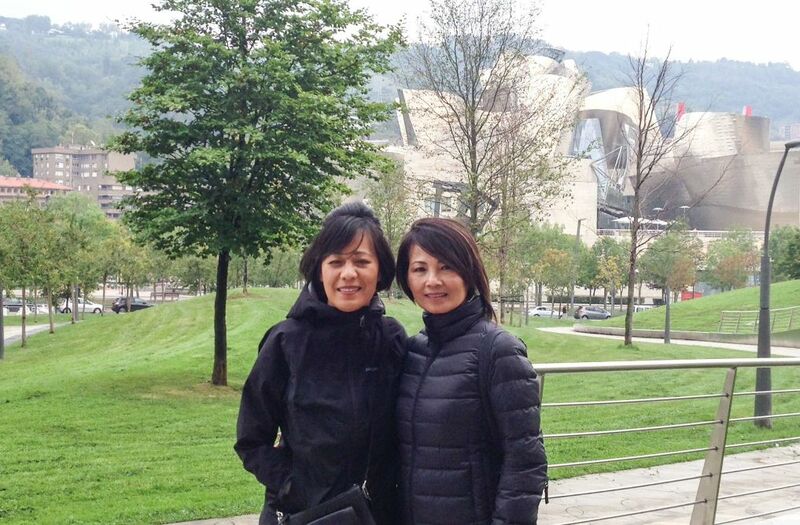 Filled with over 25 tons of soil, the chrome-and-stainless-steel structure is covered in some 70,000 blooming and growing flowers that range from marigolds to begonias, petunias, impatiens and more. The entrance of the Museum. The Museum plaza and main entrance lie in a direct line with Calle Iparragirre, one of the main streets running diagonally through Bilbao, extending the city center right up the Museum's door. The inside of the building is also impressive with a modern vibe. 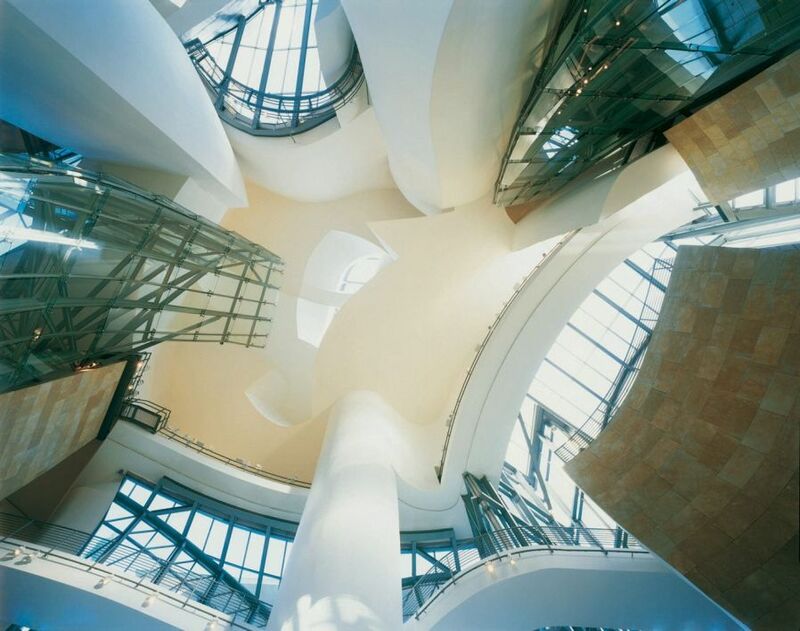 It is very spacious with 16,000 square meters of exhibition space. The inside is very spacious with lots of natural light shinning through. You have to tilt your head all the way to see the ceiling. 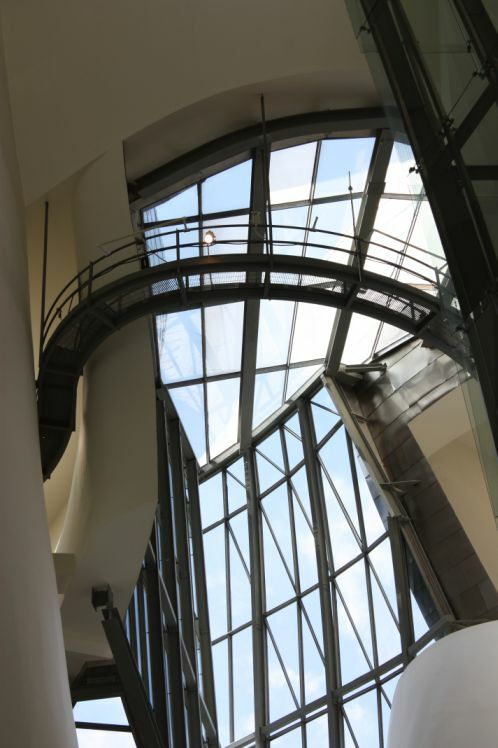 The permanent collections of the museum focus on the paintings and sculptures of the 20th century art, with a preference for systems and electronic forms. 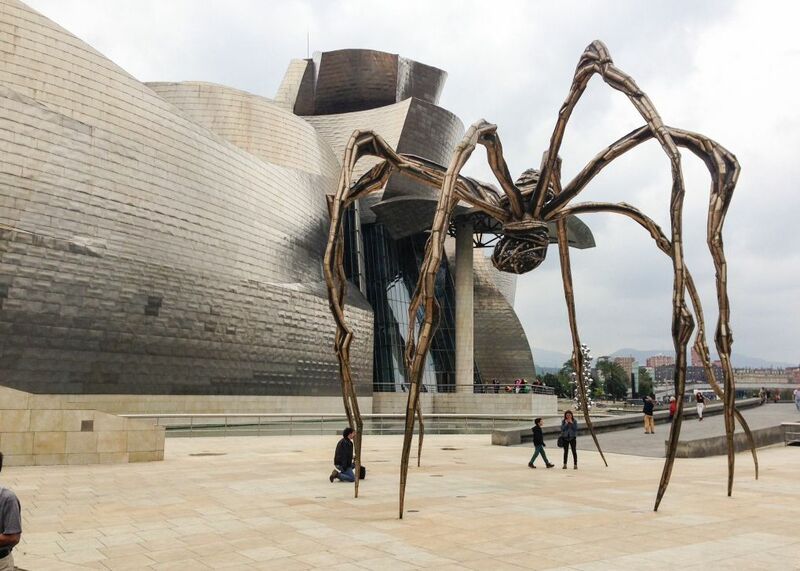 The works belong to both Spanish and international artists, including Jenny Holzer, Jeff Koons, Yves Klein, Fujiko Nakaya and Louise Bourgeois. 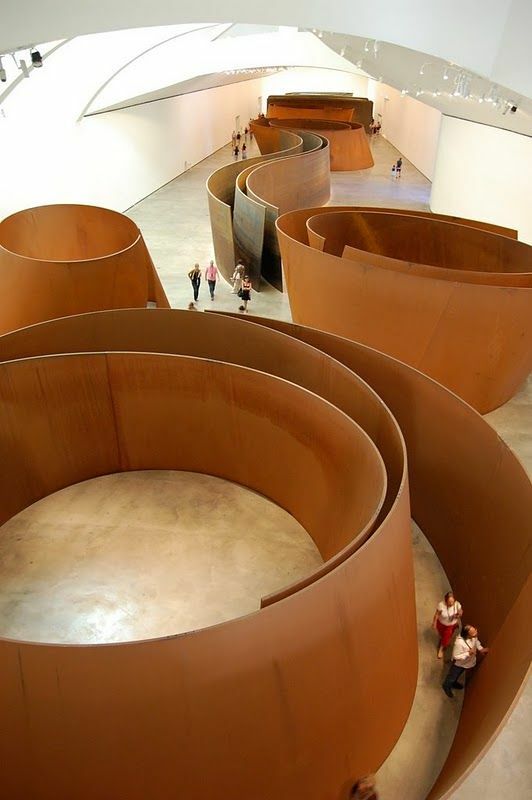 Series of steel sculptures "The matter of time" of the artist Richard Serra is undoubtedly the main attraction of the museum. 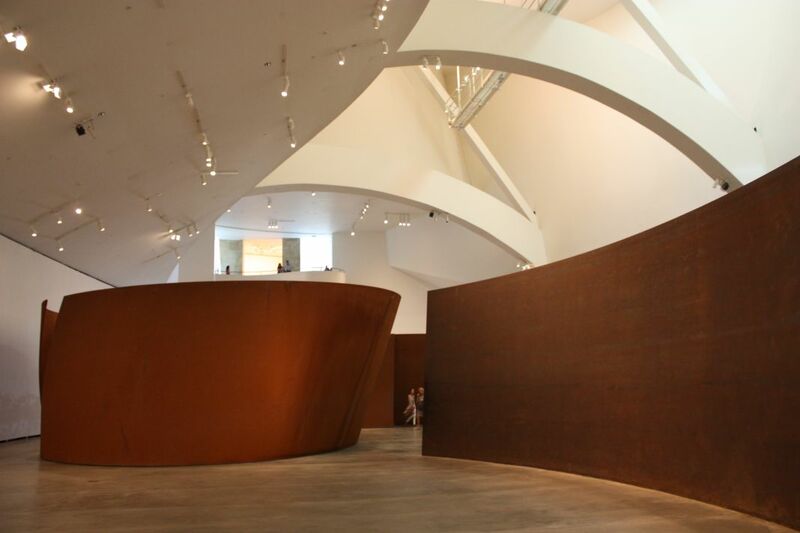 Richard Serra has long been acclaimed for his challenging and innovative work. 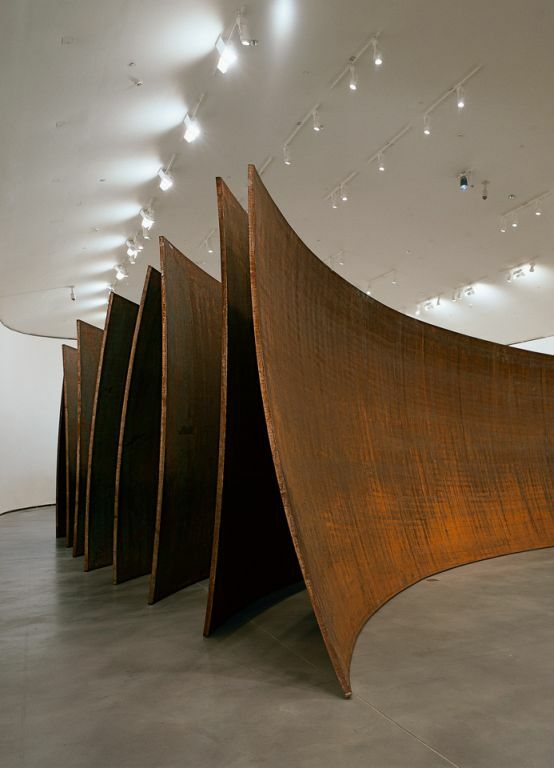 As an emerging artist in the early 1960s, Serra helped change the nature of artistic production. Along with the Minimalist artists of his generation, he turned to unconventional, industrial materials and accentuated the physical properties of his work. Freed from the traditional pedestal or base and introduced into the real space of the viewer, sculpture took on a new relationship to the spectator, whose experience of an object became crucial to its meaning. Viewers were encouraged to move around and sometimes on, in, and through the work and encounter it from multiple perspectives. 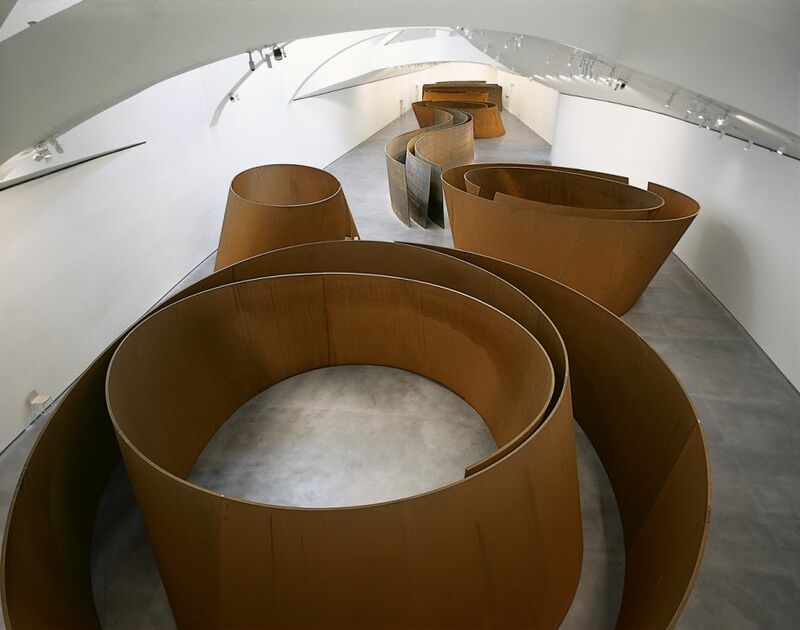 Over the years Serra has expanded his spatial and temporal approach to sculpture and has focused primarily on large-scale, site-specific works that create dialogue with a particular architectural, urban, or landscape setting. The Matter of Time enables the spectator to perceive the evolution of the artist's sculpted forms, from his relatively simple double ellipse to the more complex spiral. 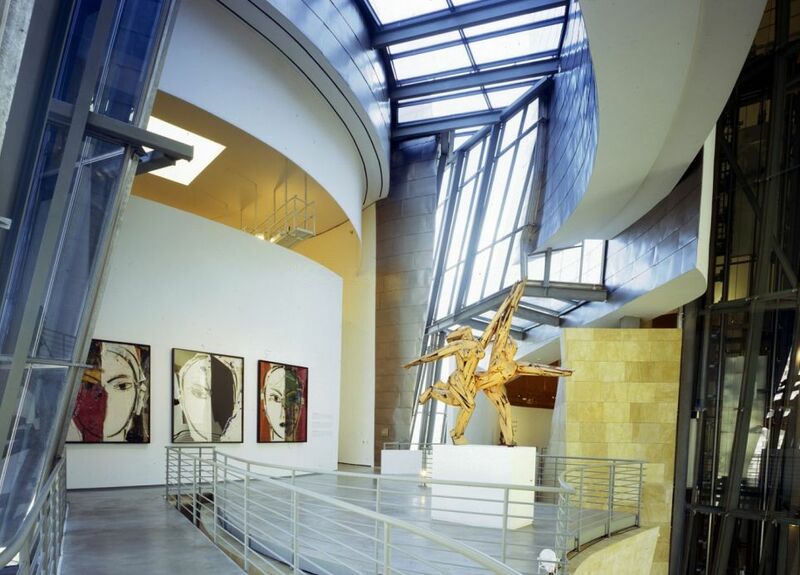 The final two works in this evolution are built from sections of large convex molding, semicircular in cross section, and spheres to create environments with differing effects on the viewer's movement and perception. Shifting in unexpected ways as viewers walk in and around them, these sculptures create a dizzying, unforgettable sensation of space in motion. The entirety of the room is part of the sculptural field: As with his other multipart sculptures, the artist purposefully organizes the works to move the viewer through them and their surrounding space. The layout of works in the gallery creates passages of space that are distinctly different—narrow and wide, compressed and elongated, modest and towering—and always unanticipated. There is also the progression of time. There is the chronological time it takes to walk through and view The Matter of Time, between the beginning and end of the visit. And there is the experiential time, the fragments of visual and physical memory that linger and recombine and replay. Tulips by Jeff Kons has a reflective stainless-steel surfaces. 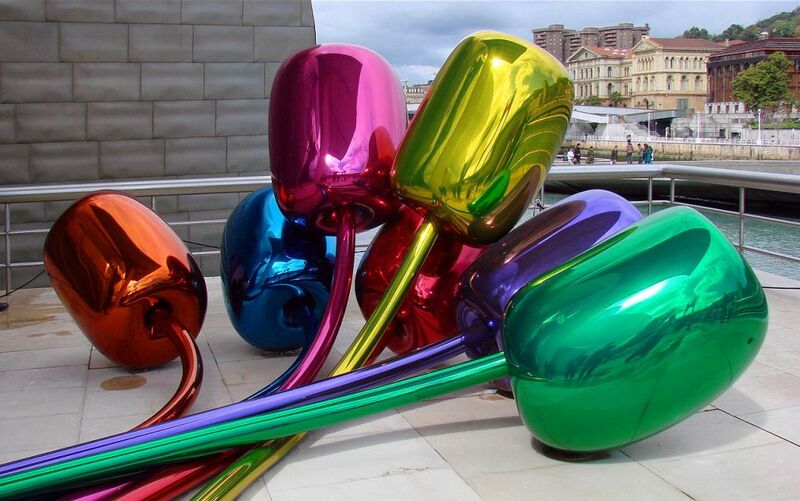 Jeffrey "Jeff" Koons is an American artist known for his reproductions of banal objects such as balloon animals produced in stainless steel with mirror-finish surfaces. 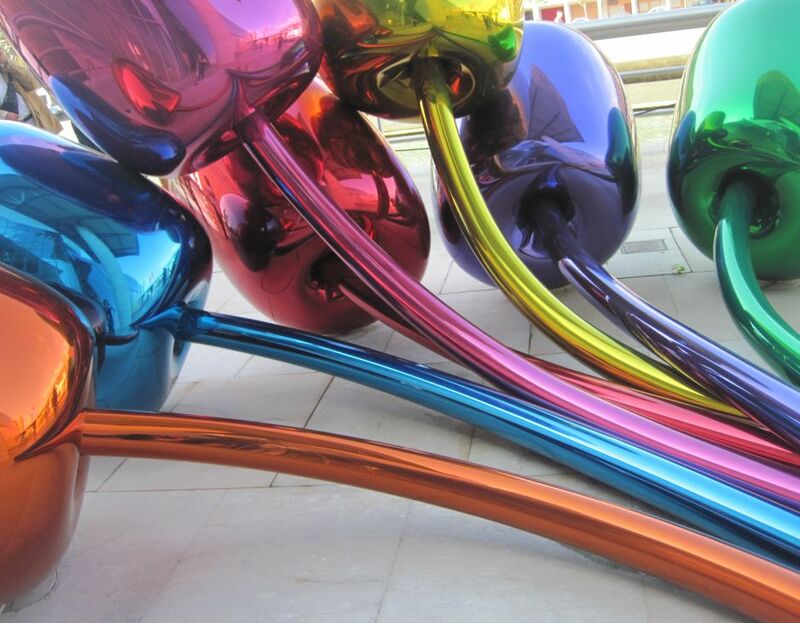 Tulips, a bouquet of multicolor balloon flowers blown up to gargantuan proportions (more than 2 meters tall and 5 meters across), belongs to the ambitious Celebration series, initiated by Koons in 1994. Focusing on the kinds of generic, mass-produced objects associated with birthday parties, holidays, and other festive events. 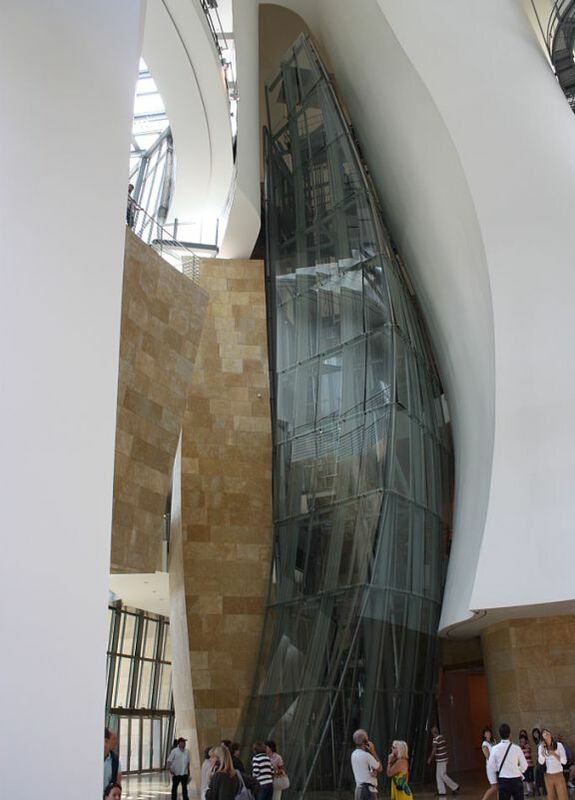 Architect Frank Gehry was able to create a very futuristic and peaceful building. Walking on the premises felt unreal, so futuristic, that I felt like I was on a movie set. 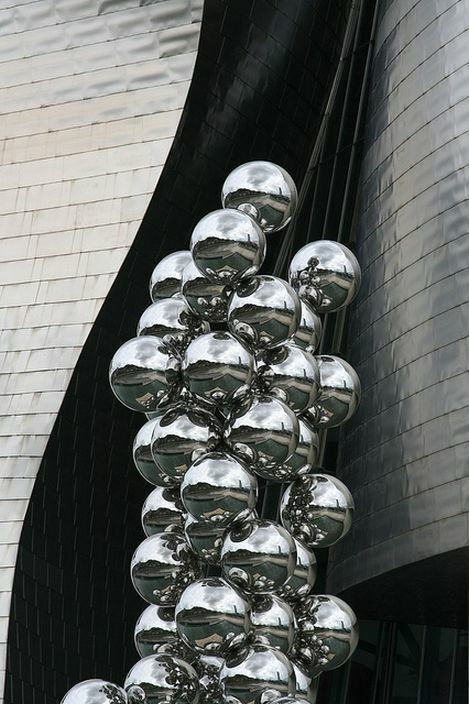 The silver ball sculpture is Reflectorama by Anish Kapoor. 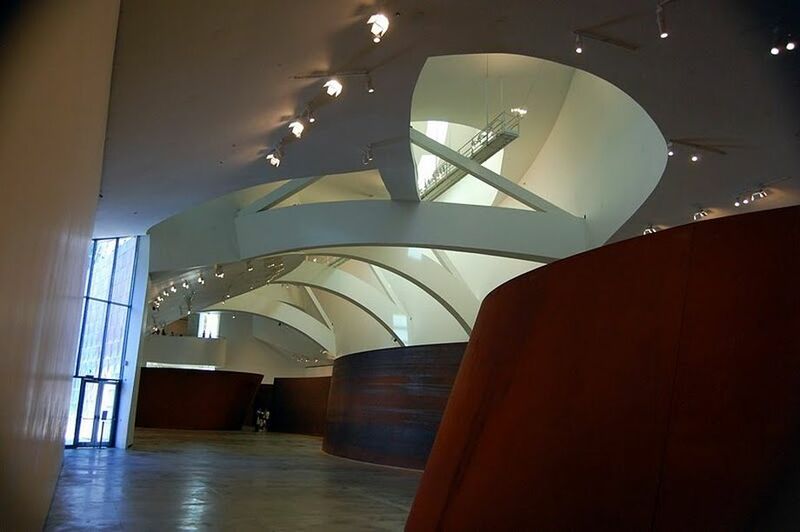 Indian visual artist Anish Kapoor is one of the most influential sculptors of his generation. 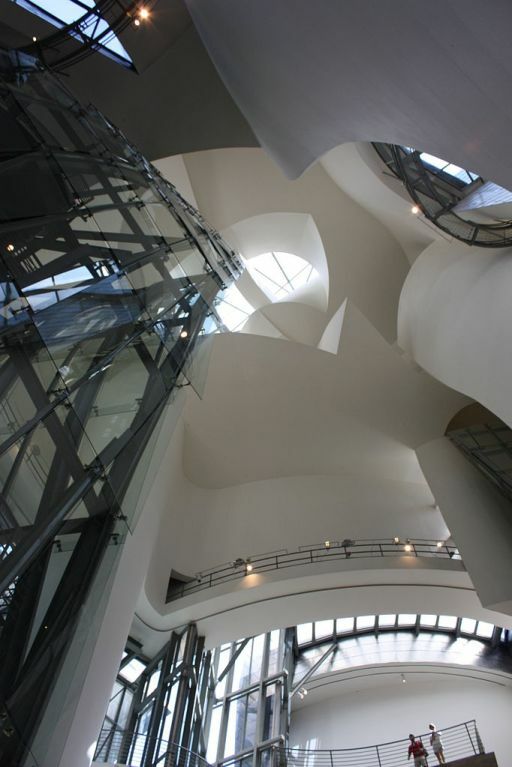 He became best known for his biomorphic or geometric sculptures. Since 1995, he has used reflective surface of polished stainless steel to create mirror-like installations, reflecting and distorting the viewer and surroundings. 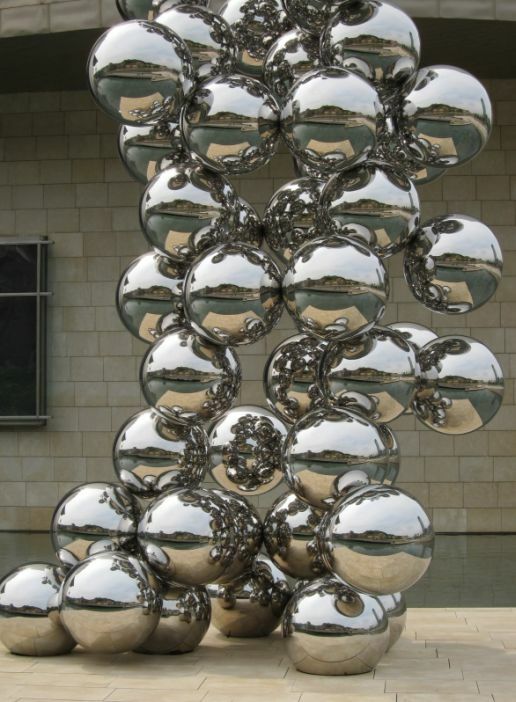 This sculpture sits at the back of the museum and it is a cascade of 80 silver spheres and it's very striking. The fun thing is you can see reflections of balls in each ball. 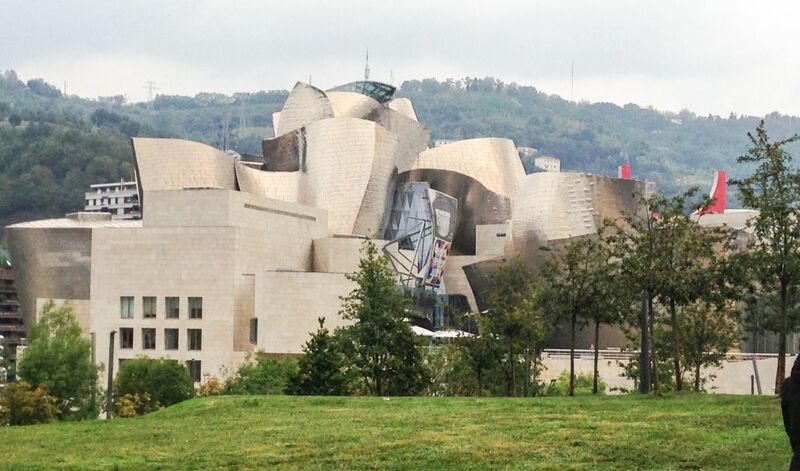 The building is built alongside the Nervion River, which runs through the city of Bilbao to the Cantabrian Sea. 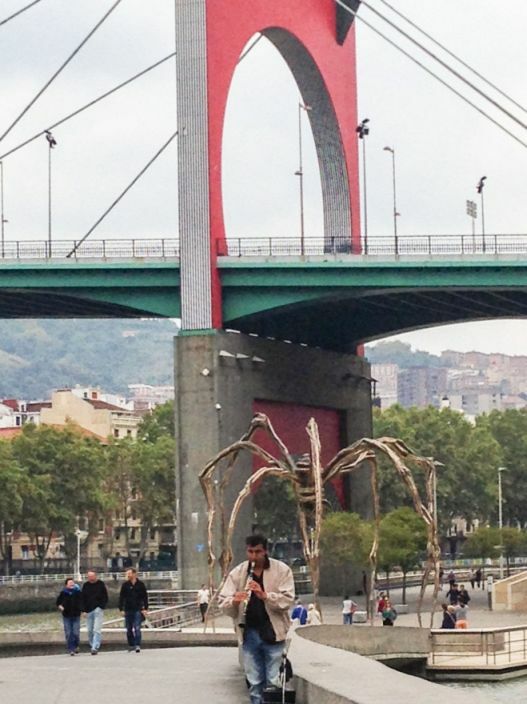 You can also see a very striking sculpture of a giant spider. 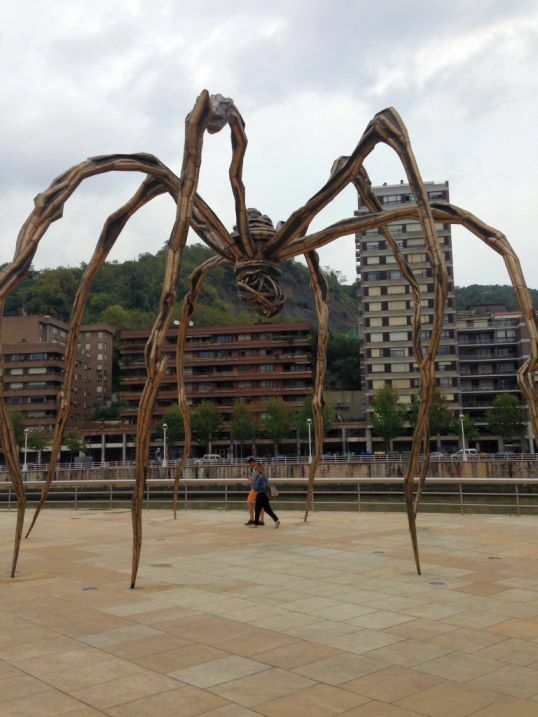 Almost 9 meters tall, Maman is one of the most ambitious of a series of sculptures by Bourgeois that take as their subject the spider, a motif that first appeared in several of the artist's drawings in the 1940s and came to assume a central place in her work during the 1990s. Intended as a tribute to her mother, who was a weaver, Bourgeois's spiders are highly contradictory as emblems of maternity: they suggest both protector and predator. The silk of a spider is used both to construct cocoons and to bind prey and embody both strength and fragility. Such ambiguities are powerfully figured in the mammoth Maman, which hovers ominously on legs like Gothic arches that act at once as a cage and as a protective lair to a sac full of eggs perilously attached to her undercarriage. The spider provokes awe and fear, yet her massive height, improbably balanced on lender legs, conveys an almost poignant vulnerability. 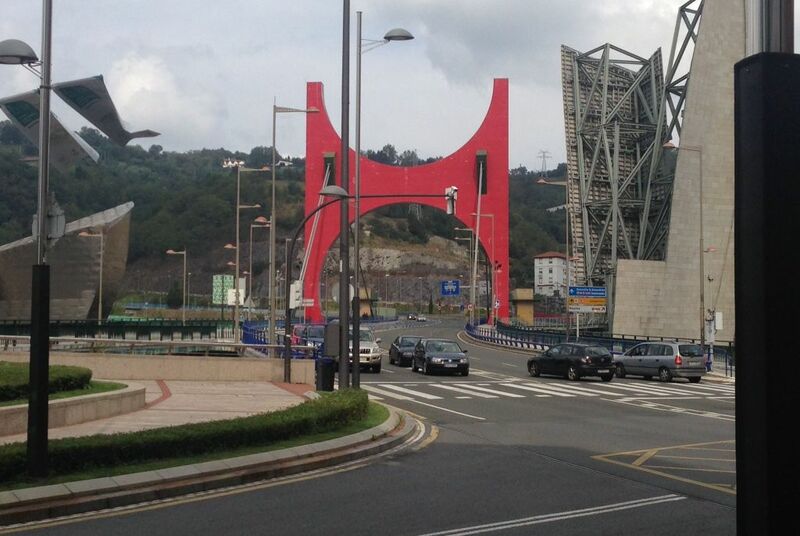 La Salve Bridge is a bridge which is Originally designed by Juan Batanero in 1972. 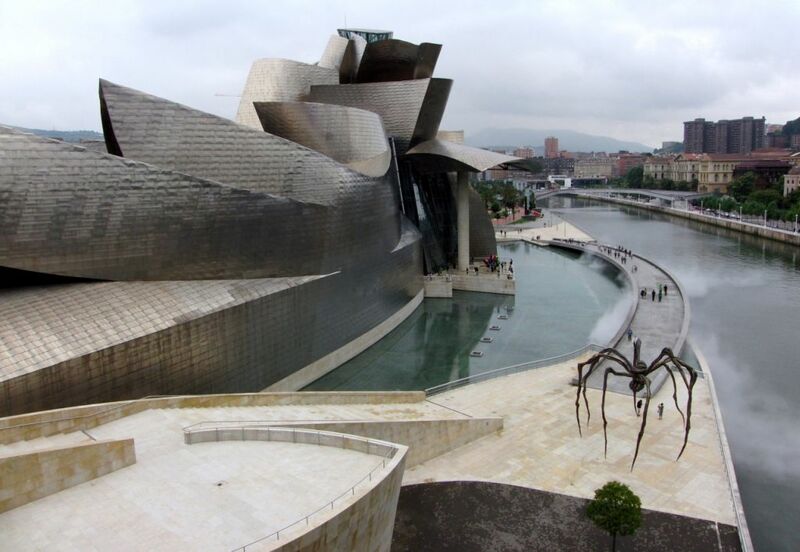 It is built to provide a northern access over the river to the city and literally merging its structure into the Guggenheim Museum Bilbao. 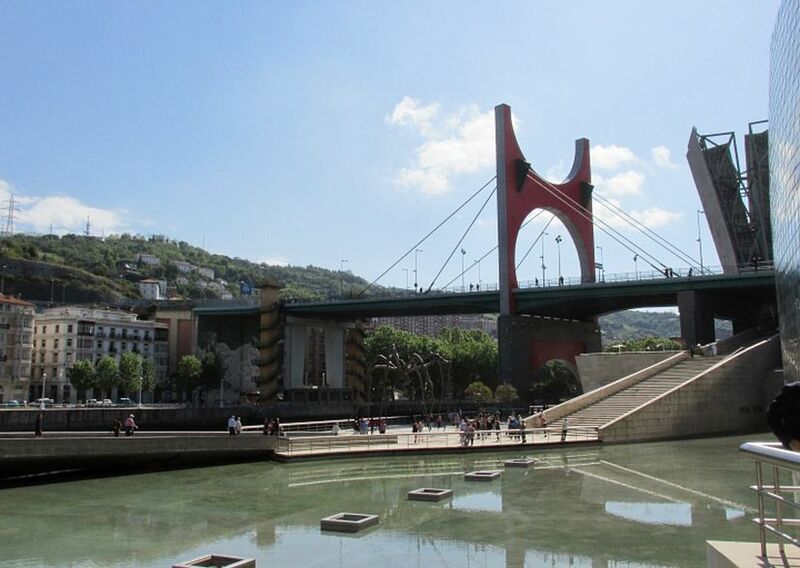 La Salve Bridge was recently updated in 2007 with a red arch designed by French artist Daniel Buren entitled Arcos rojos (red arch). 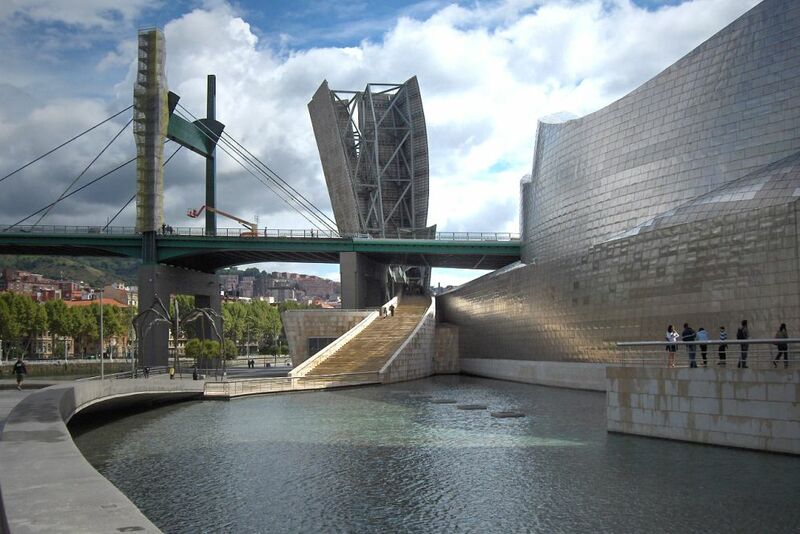 Today, the bridge gained popularity when the Guggenheim Museum Bilbao was built right under it, literally merging its structure into the museum's.